This is a short tutorial to show how can you separate the addons from the base installation folder, in order to make updates easier. Actually it's just a summary of this thread. The point is that you can use an additional folder for addons, so you can put addons there and know they won't interfere with the game. The name of the addons folder must be the same as the pakset name. If you put .pak files in this folder and then click "Load with Addons" button in the splash screen, the additional .pak files will be loaded from there. This way you can separate the original pakset files from the addons and they will still be there if you update the pakset. 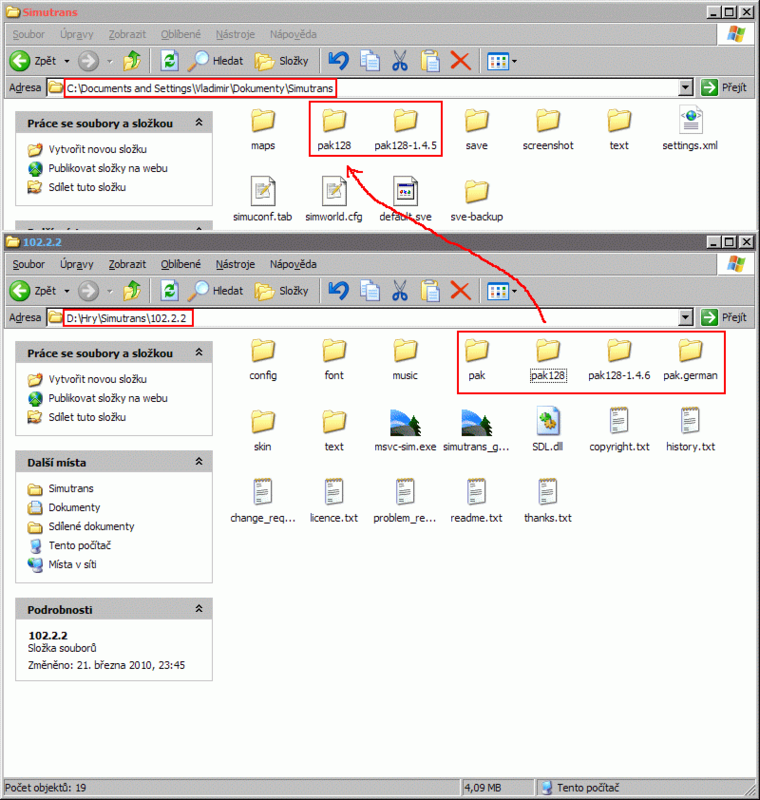 Example (windows): The bottom window shows the normal Simutrans folder with binary. Top window shows what you must have in Documents/Simutrans, in order to load addons separately. It's a great way to interchange savegames, as in case you've used any extra addons, you just need to share the addons folder, instead the whole pakset folder. P.S: Thanks to Vs and jonasbb for the tips. The link to the thread with the discussion seems to be broken. Is it this thread? On Linux, surely the correct path is: ~/simutrans/pakset_name/ ... I am fairly certain it is a lowercase 's'... and "~/" is your user home directory.